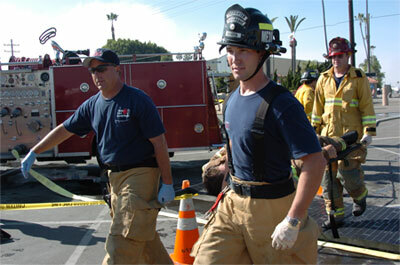 On August 22, 2006, a unique preparedness exercise took place in and around Atkinson Hall, the home of Calit2's UCSD division. Operation College Freedom brought together public safety personnel from the police and fire departments, SWAT, HAZMAT, the Medical Response System, and UCSD with researchers from Calit2. While first responders practiced their skills in responding to urban terrorism, researchers from the WIISARD (Wireless Internet Information Systems for Medical Response in Disasters) project and the RESCUE (Responding to Crises and Unexpected Events) project deployed and tested new technologies for management of mass casualty situations.